writing is a form of prayer. to honor the stories you are ready to tell. by a cozy fire for writing and storytelling in the grand salon of the chateau. and our stories over afternoon tea. a spoken word salon and evenings filled with gourmet dinners and French wines. We will be telling the stories that make us remember why our voices matter. awakening our creativity super powers. A Qoya Writing retreat is an invitation to connect to the wisdom of your body as a portal to your stories. Through movement and writing prompts, you’ll learn to let your body guide you deeper into your storytelling and honoring your voice. story within and taken me down writing pathways I could’ve never imagined." What is a Qoya Writing Retreat? Do I need to be a writer to attend? Betsy believes we all have a story to tell and finds that movement - Qoya - is a natural way to keep the channels of inspiration open. There are no levels in Qoya (and no way to do it wrong) and no levels in writing needed to enjoy, benefit and be inspired during the retreat. 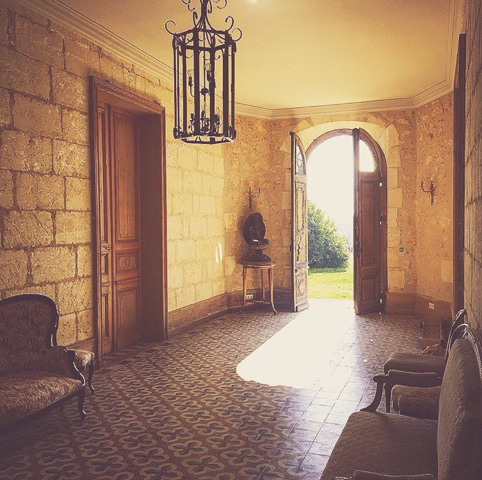 You will receive a three song writing ritual designed to keep the stories flowing even after you leave the chateau. Betsy Blankenbaker is an inspired writer and filmmaker telling important stories of the marginalized voices of the world. She is a Certified Qoya Teacher and teaches pop-up Qoya classes as she travels. In 2016, she taught at the first ever Qoya Collective Retreat. She also teaches kids Qoya classes at the school she sponsors in Zimbabwe through her NGO, House of Loveness. 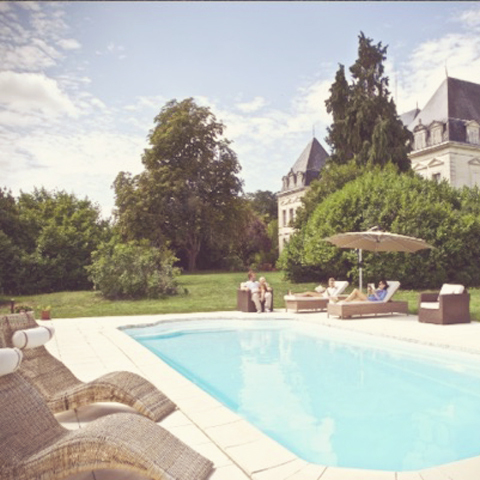 2-6pm: Check into your room at the chateau and spend the afternoon poolside, exploring the grounds or take a five minute walk to charming Clerac village. 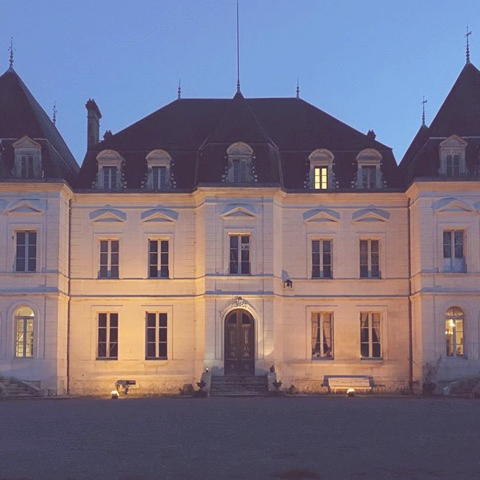 The retreat will be held at Chateau de Clerac in the village of Clerac, thirty minutes north of Bordeaux, a region famous for its wine, food, and rich French culture. The chateau belongs to a family who is offering it as our home base. The closest airport is Bordeaux airport, and you can also fly into Paris or other nearby airports and take a train into Bordeaux. Arrive a day early on Thursday, December 8th to enjoy the chateau before the retreat begins. Includes airport shuttle (for arrivals between 11am-3pm), all meals and a 60 minute private session with Betsy on December 8-9th to discuss your writing goals. To add on this extra day, simply check the box to add it to your order during checkout. Select the housing option you desire. How do I get there? We recommend flying to Bordeaux Airport (BOD), which is a 40 minute drive away. =There is ample parking at the château if you choose to drive. You can also take the high speed train to Bordeaux from Paris and we will arrange pickup at the Bordeaux-Saint-Jean Train Station (Gare de Bordeaux-Saint-Jean). Arrival/Departure Times: Please schedule your flight to arrive at Bordeaux (BOD) airport between 11-3pm on the day of your arrival and 11-3pm on the day of departure. If your flights arrive/depart outside that time, we can schedule airport transportation for an additional $75. For arrival by train, please take the shuttle (about 7 euros) or a taxi from the train station to the airport to meet the shuttle for the chateau. Arrive a day early to enjoy the chateau before the retreat begins. Includes airport shuttle, all meals and a 60 minute private session with Betsy on December 8-9th to discuss your writing goals. Can I bring my own food and drinks? All meals and snacks are included; you will be well fed! We will cater for any dietary requirements provided you let us know when booking. If you wish to bring your own drinks, please feel free - there will be no corkage charge since the chateau is your home for the course. Can I book a single room instead of a shared room? Yes, it costs $250 additional if you want a single room. Most of us will be in shared rooms with en suite baths. Please know there are plenty of cozy spaces for private time within the chateau. Cancellation Policy: If you need to cancel for any reason and we can find a person to take your spot, we will refund the amount paid minus a $500 non-refundable deposit. If we cannot find a person to take your spot, there are no refunds; however, you can transfer your paid spot to someone else, so you can send a friend or family member to the retreat in your place. Do I need to bring writing with me? No! You can bring a work in progress or start on something new at the retreat.